Juha Pikkarainen did his Master of arts degree (MA) in 1993. Juha has been engaged as an actor in Tampere theatre, Mikkeli Theatre and Kajaani Citytheatre. 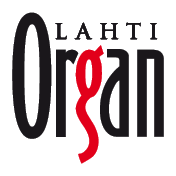 Juha has studied singing privately with Raimo Laukka, Jukka Rasilainen and Juha Uusitalo. Juha ́s voicetype is dramatic baritone and his breakthrough role as a singer was sergeant Rokka in Pylkkänen`s The Unknown soldier-opera in 2014. It was performed in Oulu Citytheatre and it was directed by Lauri Maijala. After that Juha has performed many operaroles for instance in Tampere, Kotka, Ilmajoki Music Festival, Savonlinna Opera Festival, Finnish National Opera and Norwegian National Opera. Aurora Ikävalko has studied at the Sibelius Academy church music department and finished her master degree in 2008. Now she works in the Church of the Cross in Lahti as a singing church musician. She sang 11 seasons at the Savonlinna Opera Music Festival chorus and had also solos and smaller roles. She has sung at the Finnish National Opera extra chorus since 2009. She had major roles in the first public performances of ”Yksi siemen, yksi suru”, an opera of Aino Sibelius composed by Riikka Talvitie, and ”Thundering snow”, a musical fantasy from a Lapland legend composed by Seppo Paakkunainen. She is a permanent performer at the multi-cultural Värinää Festival in Järvenpää. She also has performed widely old and modern music and sung as a soloist with several choirs and orchestras.